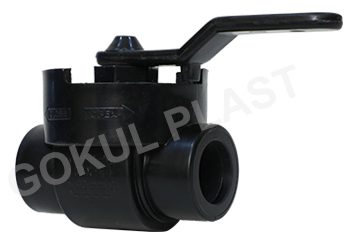 Hdpe Ball Valve Flange End India. Our HDPE Ball Valve Flange Endis a best selling product in the market. We take utmost care in manufacturing this product. We ensure that we maintain quality at every phase of our product processing, right from the procurement of the raw-material and components till the dispatching of the finished product. We adhere to international standards of quality for making our valves. Our quality controlling department quality tests our products before supplying them to our esteemed clients. Thus our products offer guaranteed superior performance for a very long life span .We offer this valve along with our similar range of products like HDPE Ball Valve & HDPE Three Piece Ball Valve Flange End at market leading prices.